The list below is of Old Boys known to have seen service overseas. The list may be incomplete and we would welcome further information. Navy Adams, A. H. Hook, R. H. McDonald, C. R.
Armitage, G. Jones, A. M. McGregor, G. \V. Berwick, F. J. Keen, A. C. McKenzie, G. B.
Bowie, R. ]. Kennedy, W. S.(Bill) was awarded the D.C.M. for gallantry when fighting the Japanese in the Solomon Islands McKenzie, H. B.
Boult, J. P.First old boy to see action. Served on Achilles during the battle of the River Plate Little, L. R. Pritchard, A. R.
Polish ‘Cross of Valour’ Brown, T. C.Merchant Navy – able Seaman. 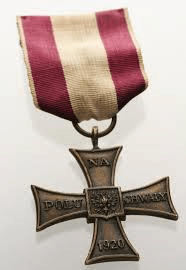 Received the Polish ‘Cross of Valour’ for gallantry during bomber attacks on a convoy. Loasby, L. P. Rennie, A. J.
Callon, E. R. Logie, F. Robinson, C. W.
Campbell, L. M. Lyon, G. C. Salmon, W. J.
Currie, J. E. Malcolm, R. W. A. Spiers, L. W.
Dowland, E. H. Matthews, A. G. Sutherland, D. L.
Dowland, R. K. Maxted, E. K. Thomson, H. S.
Duffy, A. L. Milson, R. S. Weaver, J. M.
Gilchrist, A. J. Mitchell, K. D. White, M. H.
Hitchcock, R. D. McCracken, M. R.
The War Medal 1939-1945 Aitken, K. T. Klee, R. L. Purvis, R. B.
Anderson, J. W.Served in Greek campaign Langford, J. C. Ross, A. T. G.
Barrie, E. G. Lucas, \V. G. Rough, A. C.
Brent, G. S. Luke, D. T. M. Russell, D. H. B. Brown, R. J. Melser, J. D. F. Sapsford, D. R.
Buchanan, R. W. Miles, N. T. Scott, G. W. R.
Cate, W. L. Morris, J. R. M. Scott, W. J.
Chetwin, A. H. Myles, A. M. Smithson, J. M.
Clark, W. A. S.Served in Italy Myles, M. H. Stratton, W. B. M.
Cowan, J. B. McFaull, J. P. Thompson, R. R.
Deuchrass, A. McGregor, E. R. Trott, S. E. L.
Dickie, R. A. McGregor, J. B. Walker, I. A.
Duffy, A. E. Mclvor, J. K. Wallace, T. D.
Pastier, A. M. McKellar, A. D. Ward, W. D.Served in Egypt before moving on to the Italian campaign. Gibson, A. W.Served in Niue Island Newall, W. B. Waugh, W. A. H.
Grindley, E. C. O’Hara, C. C. White, R. R.
Hewitt, R. H. Parker, G. S. Williams, G. S.
Jarratt, H. H. Parker, G. T. Wilson, A. B.
Judson, A. R.Served as a field gunner in the Pacific and spent time in New Caledonia. Pickering, R. Wright, A. N.
King, E. H. Pollard, I. G.
AIR FORCE. Adams, C. M. Broadbent, E. M. Davidson, W. L.
Anderson, C. G. Brown, T. M. Dickson, A. 0. Anderson, I. S. Burnett, C. A. Frew, K. D.
Annand, E. A. Butterworth, H. S. Gale, W.
Armstrong, J. S. Calvert, P. F. Geary, T. F. C.
Bagley, S. H. Carson, A. L. Grigg, G. H.
Bardsley, M. E. Claridge, H. K. Holmes, F. W.Served in the South West Pacific dive bombing Japanese positions. He later flew fighter aircraft. Barron, T. D. Clark, J. H. Tngs, W. M.
Bennie, L. M. Cox, J. N. Johnson, L. A.
Brighting, J. A. Cunningham, A. Kempthorne, J. V.
Kibblewhite, E. W. McGimpsey, G. F. Smith, 0. Langford, A. R. Mclndoe, J. A. Titchener, G.
Lust, N. H. McKay, R. M. Tombs, E. A.
Martin, L. P. North, H. S. Umbers, D. T.
Mercier, J. D.Awarded the D.F.C. 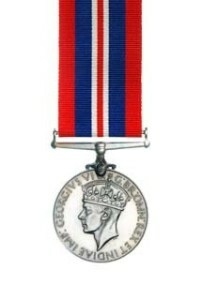 for gallantry. Ombler, R. W. Valentine, J. A.Pilot Officer RNZAF. 1943 reported as a prisoner of war in Java after being missing for 2 years. He was in the fighting at Singapore, Java and Sumatra. Miller, C. R.Served in the Middle East Park, G. A.Flight Lieutenant RNZAF. – flying Ventura and Mosquito aircraft in England with RAF.Highest ranking Air Force office from Old Boys Voysey, K.
Mentioned in dispatches commendation Mills, A. S.Flying Corsair fighter aircraft at Bougainville. First ATC Cadet (and possibly the youngest at age 19) to down a Japanese Zero aircraft.Awarded the M.I.D. 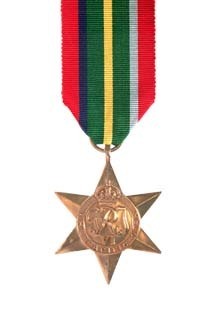 commendation for Galantry Paul, C. R. White, A. V.
Mitchell, A. N. Pritchard, R. R. White, L. K.
Murdoch, I. A.Flight Sergeant – RNZAF. He is a fighter pilot who was injured landing while fighting Japanese in the Solomon Islands. Purvis, C. R. Whitworth, E.
Murray, J. A. Roberts, L. R. Williamson, W. A.
McCready, J. M. Robertson, J. M. Wix, E. R.
McDonald, T. D. I. Rogers, J. A. Wood. A. H.